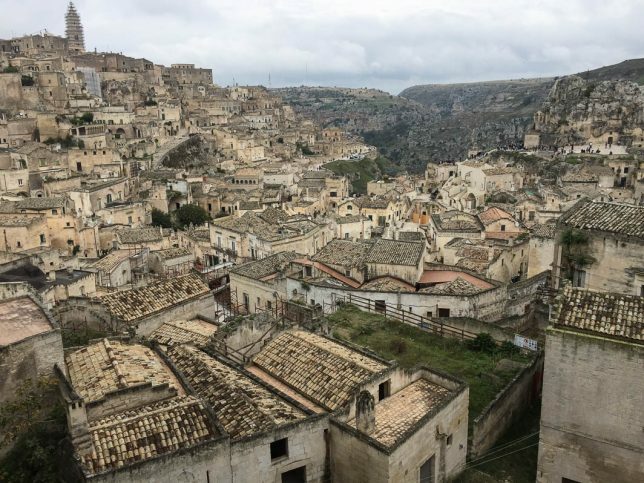 The weekend of November 1st was a long holiday weekend, so Stefano and I, and his aunt and uncle (yes, the uncle with MM), decided to visit the ancient southern Italian city of Matera, designated as a UNESCO World Heritage Site in 1993. It is also one of the OLDEST CONTINUOUSLY INHABITED cities in the entire world. How about that, eh! In 2014, Matera was also awarded the title of 2019 European city of culture and since then has become a big tourist attraction. 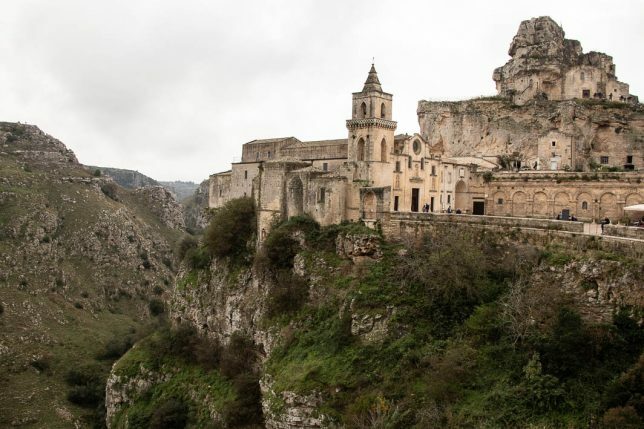 By the time we managed to book a B&B, in fact, Matera was 97% booked! 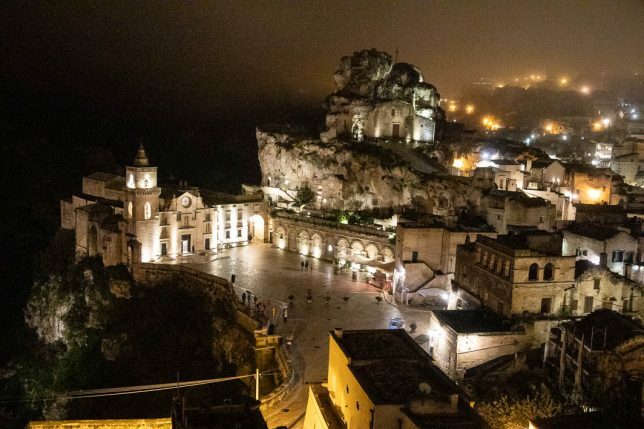 Then, in the mid 1950s, the Italian government declared that Matera was “the shame of Italy” and had all of the Sassi’s inhabitants relocated to public housing projects in the modern part of Matera. This move, although necessary, I suppose, unfortunately destroyed an entire social network…And in fact the inhabitants didn’t want to leave their homes, their neighbors, their livelihoods. They had to be forcefully removed. The relocated children of the “Sassi” then pretended that they’d come from other parts of the region. The Sassi at that time was synonymous with abysmal poverty, ignorance, etc. Who’d want to be associated with that? 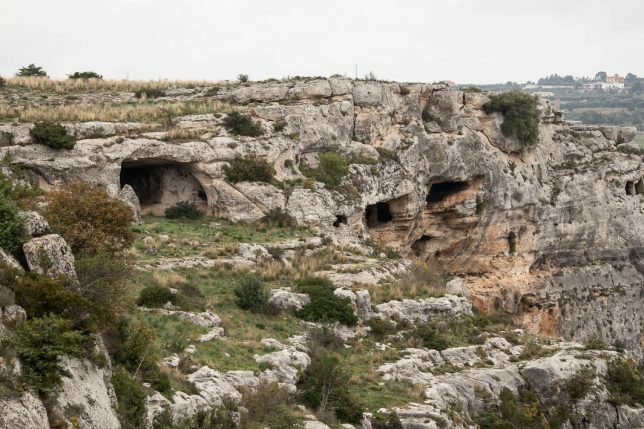 Ancient caves have now been turned into fancy boutique hotels, restaurants, galleries, and even a contemporary art museum, MUSMA, that has its own underground network. As I was looking online for a reasonably-priced B&B, I came across a fancy hotel that offered a fancy suite with a fancy (amazing!) underground swimming pool. We didn’t go there, but it gave us an idea of the sort of change that Matera has undergone in the past few decades…Now it’s a hip place to go! Oh, we also ate incredibly well in restaurants that I’d chosen because they used locally-sourced food…amazing…so YUMMY! 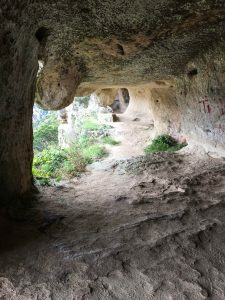 We brought back with us some of the specialties we had enjoyed in Matera, including black chickpeas, which are grown in the Murgia National Park, located on the other side of the gorge. Oh, I guess it’s obvious that I am compleeeeeetely over my bronchial pneumonia…I have to admit that I still get tired easily, but…no big deal. I’m taking probiotics (after such heavy doses of antibiotics, probiotics are a MUST), as well as vitamins and minerals to boost my energy levels. All good! 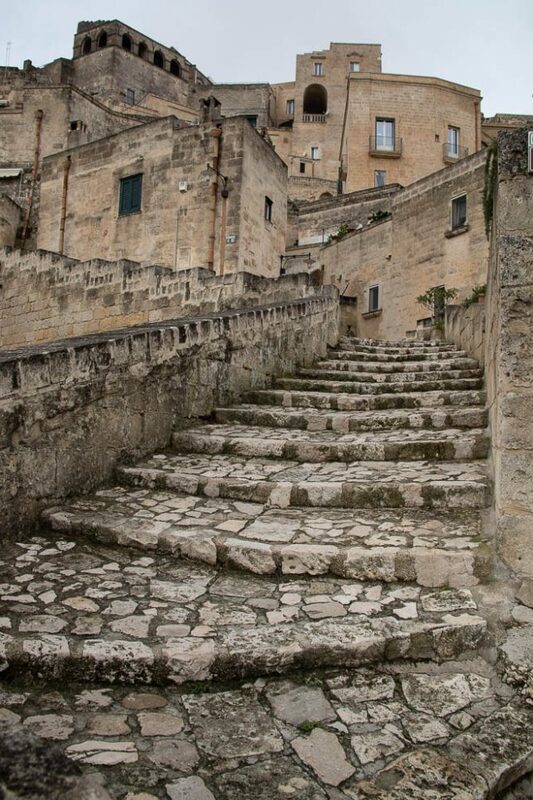 Anyway, if you are ever in or near the region of Basilicata, do stop in Matera…It’s well worth the visit. Oh, and don’t forget to visit the cave-churches with their amazing frescos dating as far back as the 9th century.